Cultural Stress has a uniquely powerful impact on millennials because of the immense pressure they’re under. It’s no shock that Millennials have gotten a bad rap. They’ve been called everything from lazy, to entitled, to killers of restaurant chains or worse. What is shocking though is the most recent statistic from the New York Federal Reserve Consumer Credit Panel who reported that debt among 19 to 29-year-old Americans exceeded $1 trillion at the end of 2018. It’s been more than a decade since young Americans faced debt levels this high. And while this comes as no surprise, student loans make up the majority of this debt. In fact, since 2009, mortgage debt increased 3.2% while student loans increased 102%. When it comes to millennials, preconceived notions of spending habits cloud the fact that those under the age of 35 have reduced spending compared with previous generations as a result of this crushing debt. The belief that you need to work hard to get ahead has failed them, leaving them to feel that they must work 10x harder just to keep their heads above water. Put simply, millennials and Gen Z-ers have faced some of the toughest job conditions and cost of living increases. As a result, they are feeling the destructive impact of economic, work-related and sociopolitical factors in ways other generations aren’t. Decline in physical health as Cultural Stress contributes to a sedentary lifestyle and de-prioritization of our own well-being. In fact, obesity-linked cancers are on the rise in people ages 25-49. Decline in mental health that can start as burnout for many young Americans working to make ends meet, and quickly lead to depression as the emotional toll of debt, higher costs of living, and unchanged minimum wage/income wreaks havoc on the psyche. The reality of millennials and Gen Z is still only trickling into public awareness. 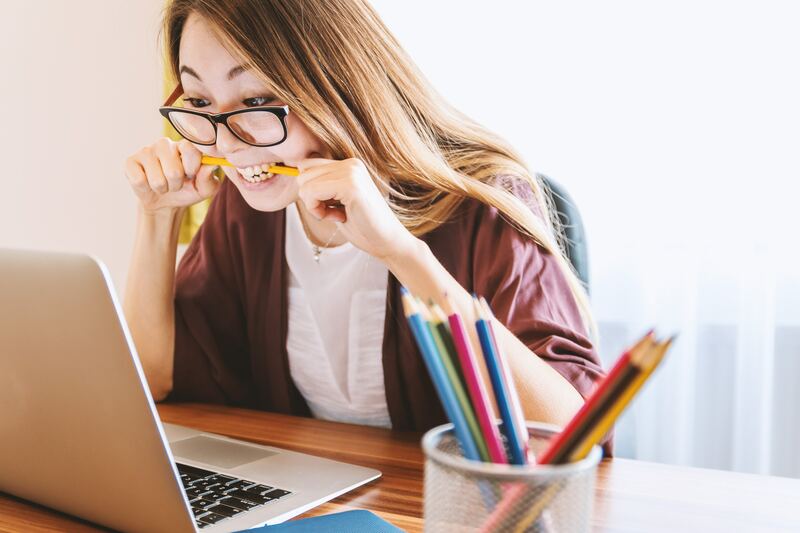 Tackling the crippling student debt crisis may not be in your immediate power, but how you deal with the stressors it causes is. Fix your diet – Simple lifestyle modifications can lead to significant changes at the molecular level that result in cells or even entire bodies acting and behaving much younger than their biological age. One such modification is cellular hydration from the inside out, which also happens to make us less susceptible to the physical effects of Cultural Stress. We’ve all heard of drinking 8 glasses of water a day, but this often doesn’t translate over to the food we consume. Instead of drinking your water, eat your water. Consuming veggies and fruits with high water content allows our body to absorb water more slowly because it is trapped in the structure of these foods. That slow absorption means that water in food stays in our bodies longer, with a multitude of additional benefits. Take a digital detox – The 40-hour work week is dead and there’s little we can do about that as we try to make ends meet. But what we can control is how we choose to spend our free time. Instead of catching up on your newsfeed, catch up with your friends and family in person instead. If you can’t leave work at the office, find a balance that allows you to give whatever you’re doing or whoever you’re with 100% of your time and attention. Prioritize self-care – When you’re juggling a million needs, your personal needs tend to fall on the end of the priority spectrum. As the age-old saying goes, ‘You can’t pour from an empty cup,’ you must learn to take care of yourself first. From physical care to your mental wellbeing, what works for one won’t work for all. It’s important to try different things and come up with your own approach. For many, this can mean getting an hour of extra sleep, taking walks in nature, journaling, etc. Channel your inner toddler – Once upon a time you who didn’t care about society’s unreasonable expectations and demands. You were free to pursue your dreams without fear and without comparing yourself to others. Toddlers are spontaneous and carefree; they don’t doubt or worry. We should all work to be that daring, creative, and inquisitive. Bring some positive psychology into your life – Positive self-talk generates positive emotions. And positive emotions reduce stress and result in profound effects on overall wellbeing and physical health. To help reduce the effects of Cultural Stress, I created 11 positive affirmation cards for my patients to read twice a day. As a result, these daily affirmations have been clinically shown to lower perceived stress, blood pressure, and heart rate in study participants. You have no control over the cards that are dealt to you, but you do have control of making the best of them. We are each born with a unique commodity called life. It may be stressed by society and things like technology, but it is up to us to make the best of it. Dr. Howard Murad is the founder of the innovative skincare company Murad, Inc. and is largely recognized as The Father of Modern Wellness based on his years of expertise as a board-certified dermatologist and pharmacist whose holistic health approach recognizes the mind/body/skin connection in living a healthier, happier life – at any age. Dr. Murad’s ability to “connect the dots” linking cellular hydration, nutrition, joyful exercise, creative expression, reducing “Cultural Stress,” and efficacious skincare, are unique contributions to Modern Wellness and Inclusive Health. Dr. Murad’s mission is to teach people how to manage cultural stress through a comprehensive treatment plan he describes in his published books and online at www.drhowardmurad.com.